Summary of today’s show: Fr. John Currie is pastor of St. Joseph Parish in Holbrook in addition to being the pastor of our Wednesday co-host Fr. 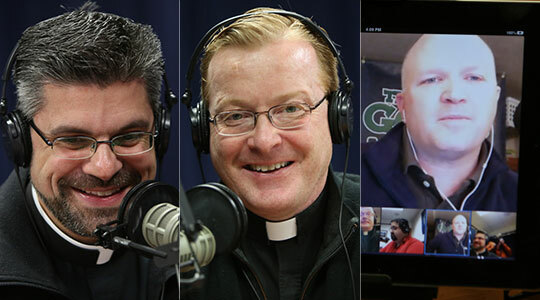 Matt Williams and our producer Domenico Bettinelli and he joins Scot Landry and Fr. Matt to talk about the parish, its school, his own vocational journey, and the upcoming March for Life in Washington, DC, next week.